Asus may be poised to unveil yet another Zenfone 3 model. We’ve already seen a 5.2-inch Zenfone 3 Max, but how about a 5.5-inch model as well? This appears to be the case. We can’t say specs wise how much different a 5.5-inch model will be. With the smaller battery capacity of the 5.2-inch in comparison to the original Max, is seems quite likely that Asus could have a more premium model with that large capacity battery that was in the first generation model. Considering the original Zenfone 2 Max had a 5.5-inch screen and came with a 5000mAh battery, the new Zenfone 3 Max at 5.2-inches only had a 4100mAh battery. It’s logical that having a larger phone will make that 5000mAh battery an easier proposition. The question is what other differences will there be in the larger model or will it be all the same specs like the 5.2-inch vs. 5.5-inch Zenfone 3 models. What’s so significant about this promotional image? 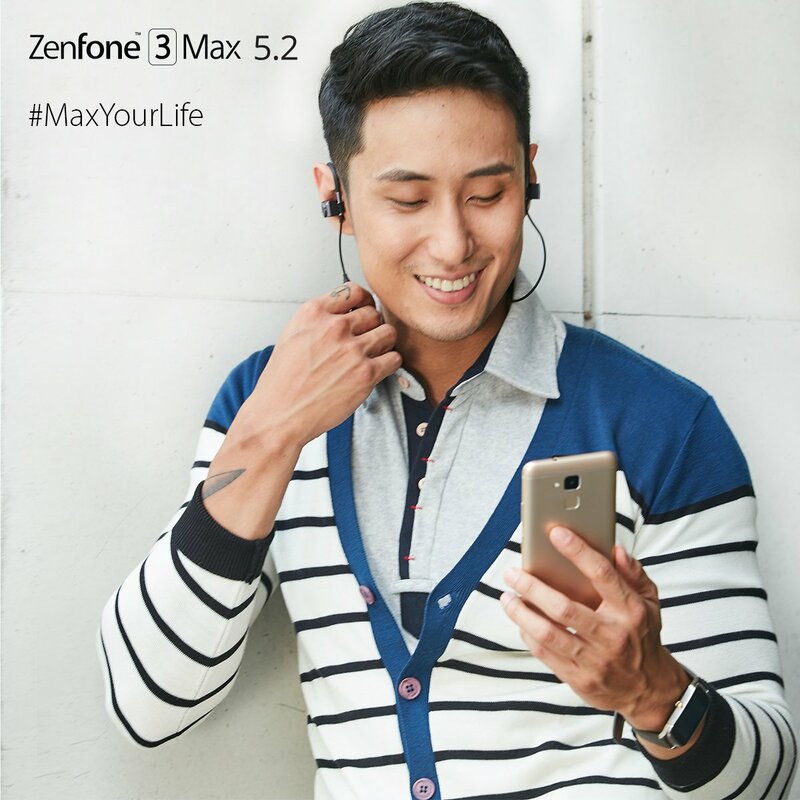 Check out the Zenfone 3 Max 5.2 text. This was our initial curiosity. As in, why mention 5.2-inch? Is that indicative of there being a second Zenfone 3 Max model? Say, perhaps a 5.5-inch model? This is exactly what we’re thinking. In a sense this official Asus image does give a strong indication of what’s coming soon. We will update as we learn more!